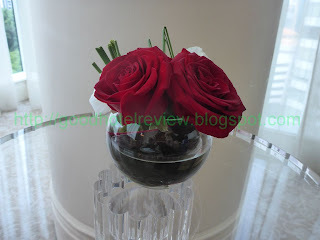 Thank you for reading the very FIRST post of my blog! I truly appreciate your visit here! One may ask, "what is the objective of this blog?" 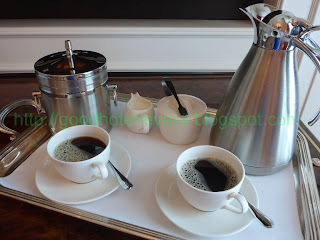 It is simply to share my experiences at various hotels and how fantastic (or otherwise) they are! My focus would be on the hotel or resort itself and the rooms (as well as the food) and not the nearby attractions. 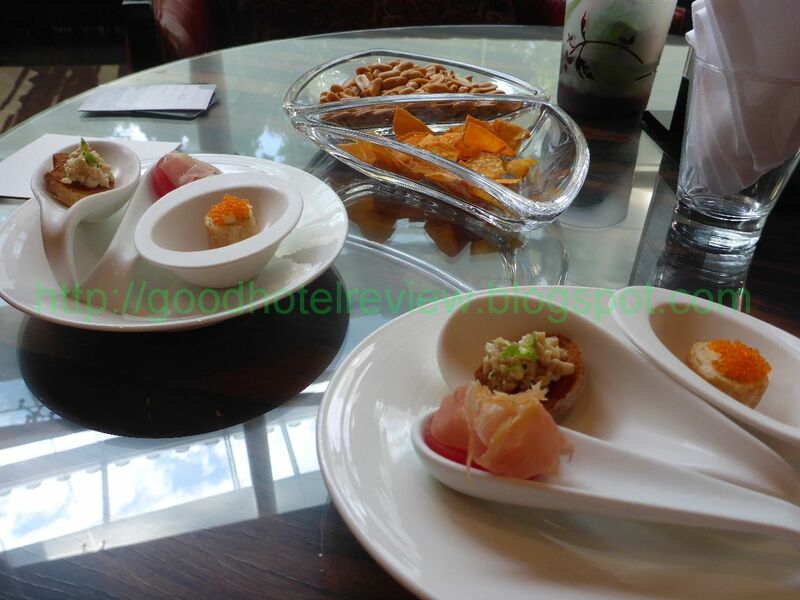 Despite my reluctance for flights, I have began to appreciate the joys of traveling and hotel stays and I hope my reviews would help people choose a good hotel and plan a better trip or staycation. 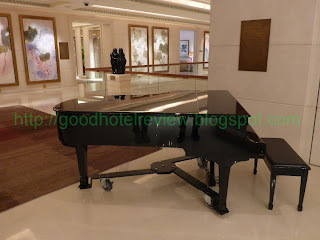 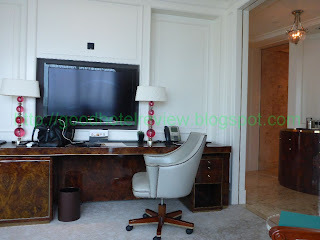 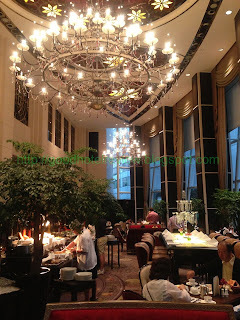 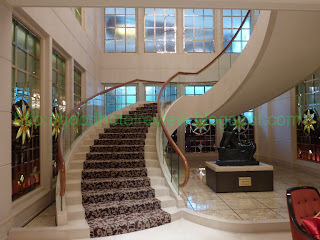 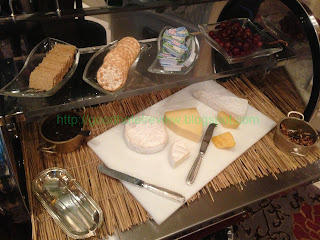 The very first hotel on my blog would be the St. Regis Singapore. 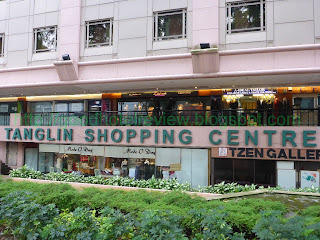 The hotel is located at Tanglin Road which is at one end of Orchard Road, and is hence away from the main shopping belt. 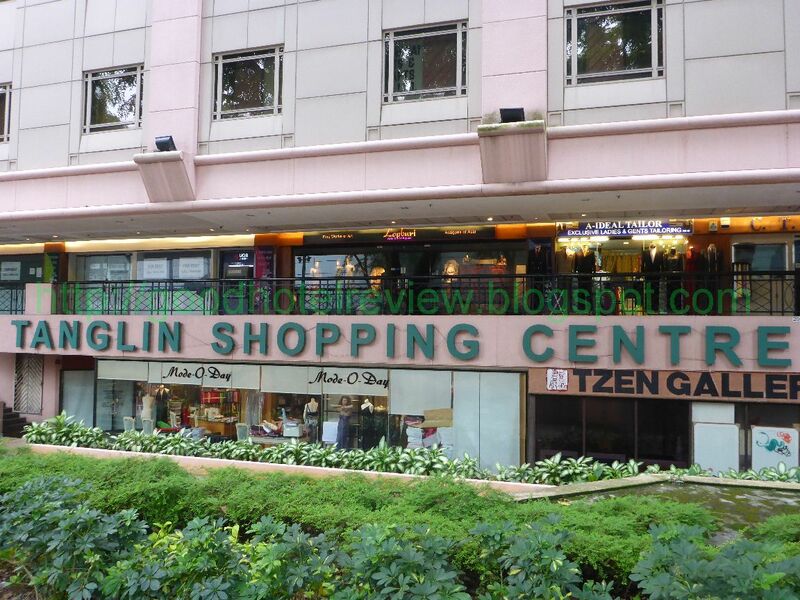 Food and some shopping can be done at the nearby Tanglin Mall or Tanglin Shopping Centre if one is into antiques and such. The hotel is easy to locate and one should have no major issues finding it. 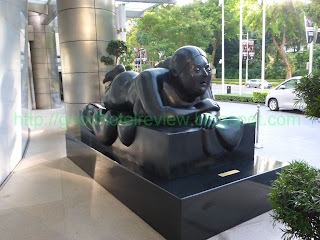 As evident in the picture below, the entrance is rather grand and there is a nice and famous sculpture (by Botero) next to it. 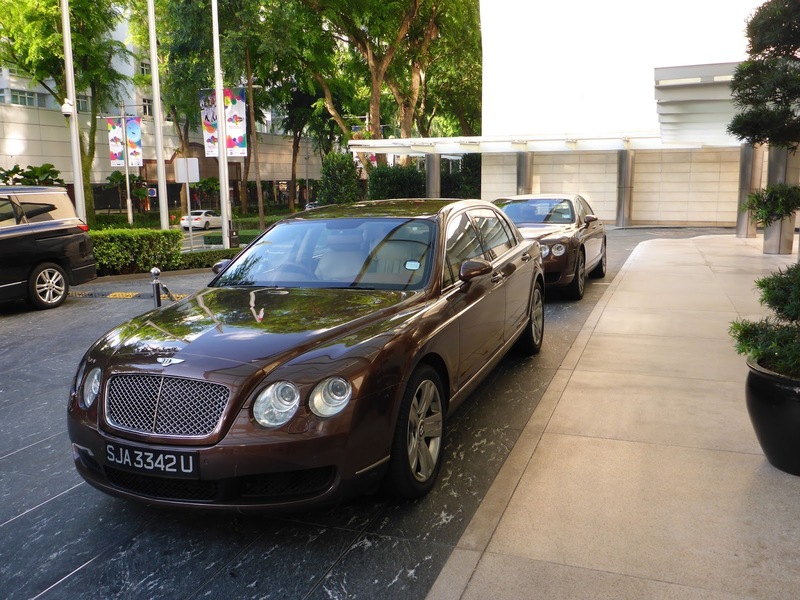 A few Bentleys are usually parked outside the hotel as part of the service provided by St Regis and can be hired for airport transfers. 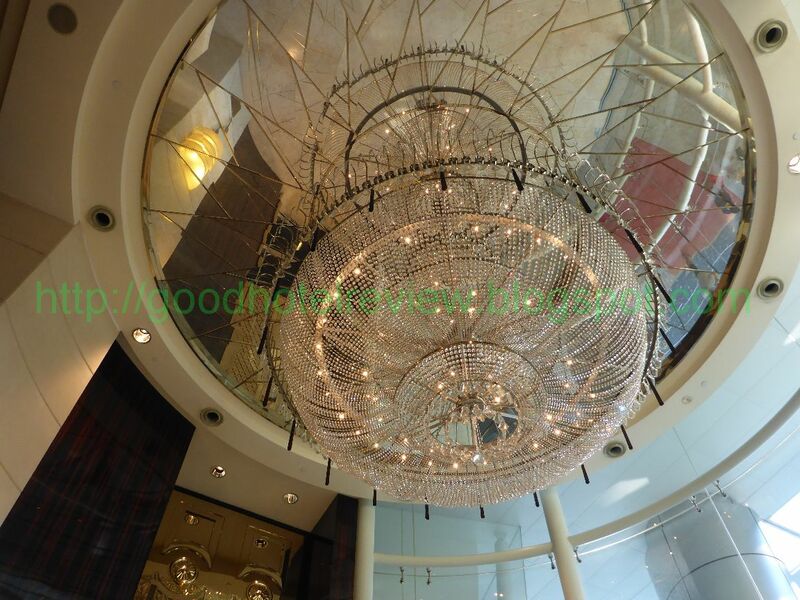 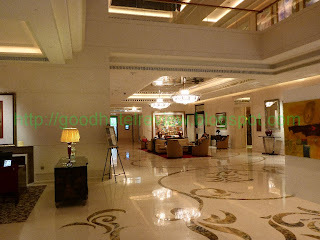 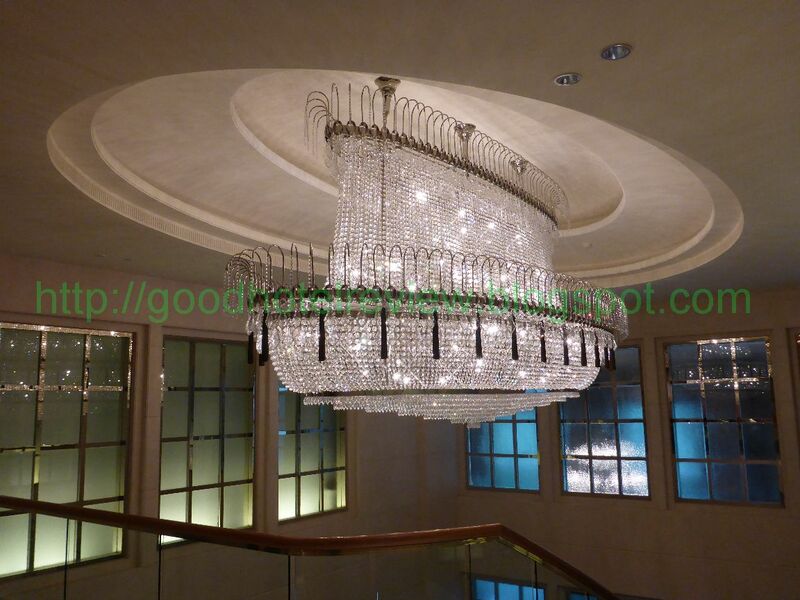 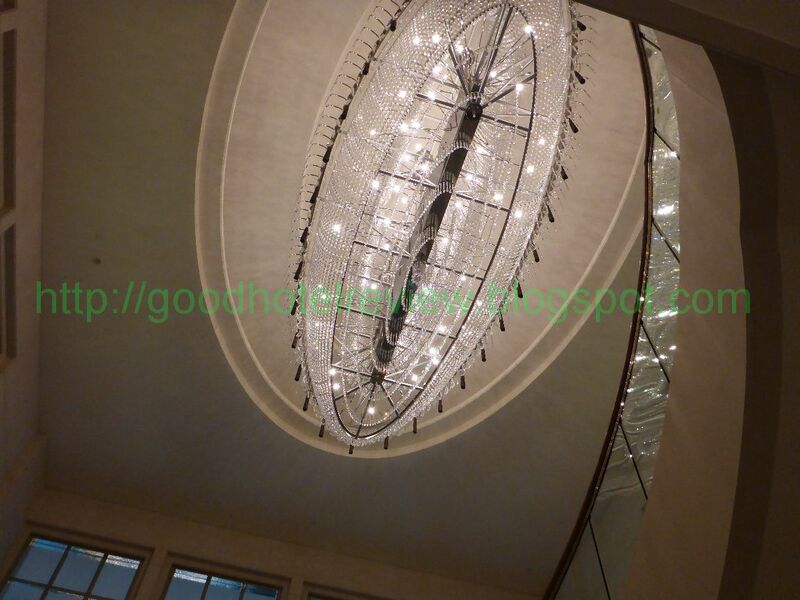 Upon entering the hotel, one would see the beautiful and magnificent grand chandelier. 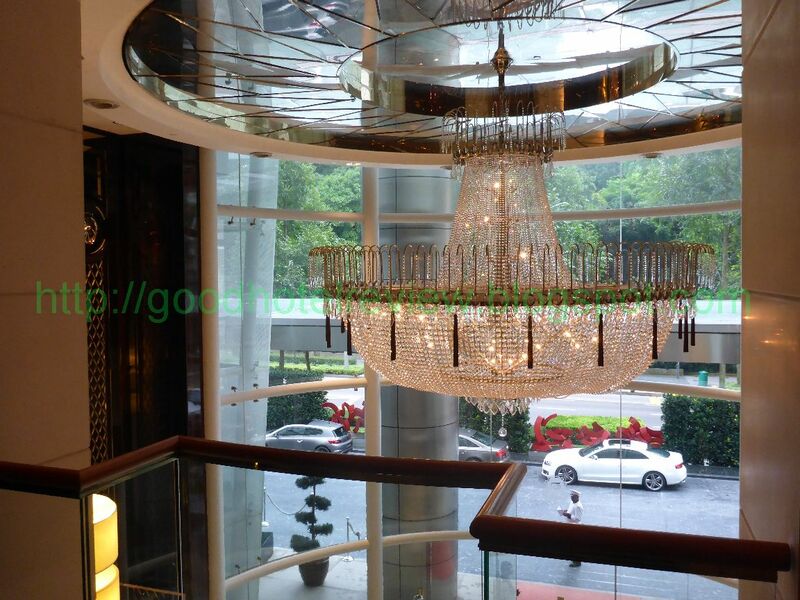 The grandeur of the place is perfectly captured by the glistening crystals. 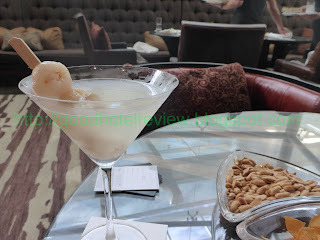 In the late afternoon, one would be greeted by the sight of this visually, and also by the singing echoing from the Astor Bar right beside the entrance. 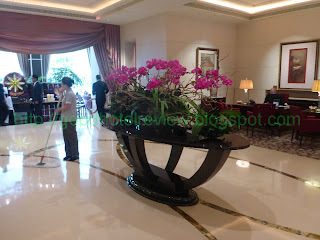 The two-storied lobby is huge and opulent, characteristic of a St Regis and there are often art pieces and large floral arrangements on display. 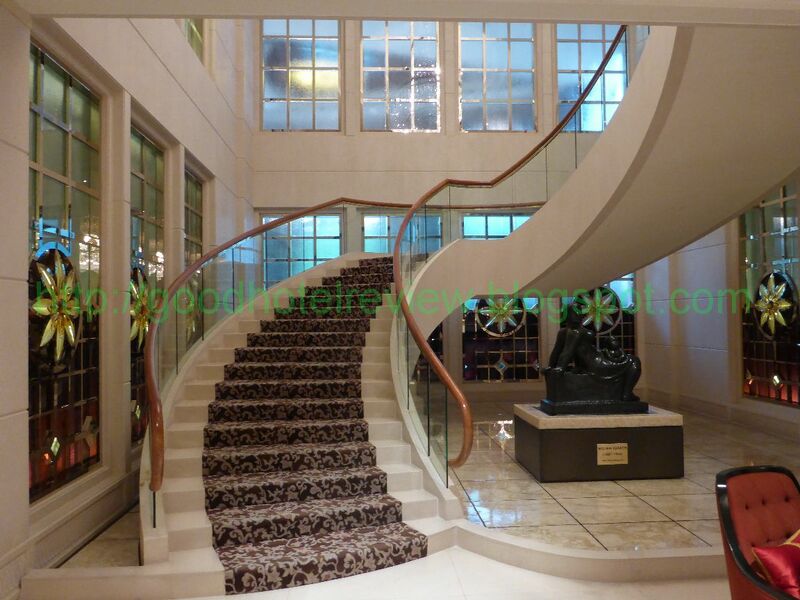 A elegant staircase would bring one to the second level, where there is another grand chandelier and a grand piano. 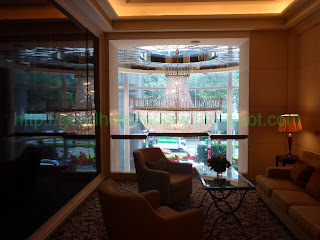 One of my favorite places is the nice sitting area on the second floor near Yan Ting (Cantonese Restaurant) where one can have a good view of the first chandelier and listen to the music from the Astor Bar without looking awkward standing at the hotel entrance. 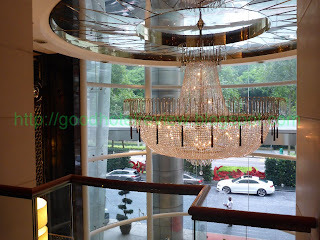 I find the elevators rather slow, the lighting too dim and the decor was a little too weird. Nevertheless, the nice little seat inside has found many users. 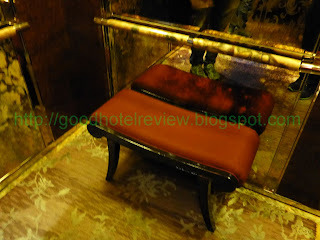 I once witnessed a full-figured lady kick off her heels and sat down triumphantly on the seat, declaring "this seat is for me!' to her amused companion. 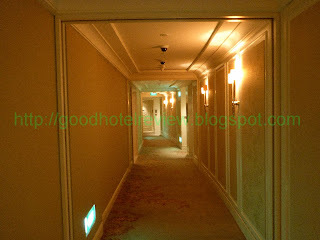 On the way to the room. 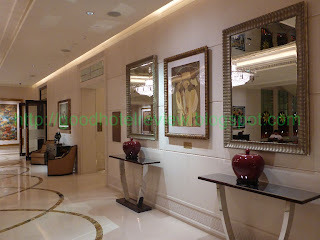 the corridors are well-lit but that touch of opulence seems to be missing, in contrast to the lobby. 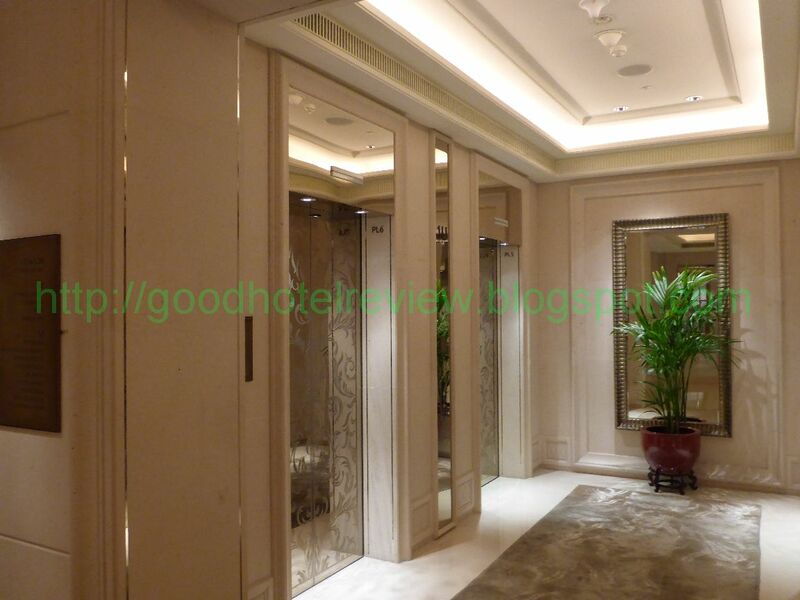 There are hardly any decorations and the doors are plain. 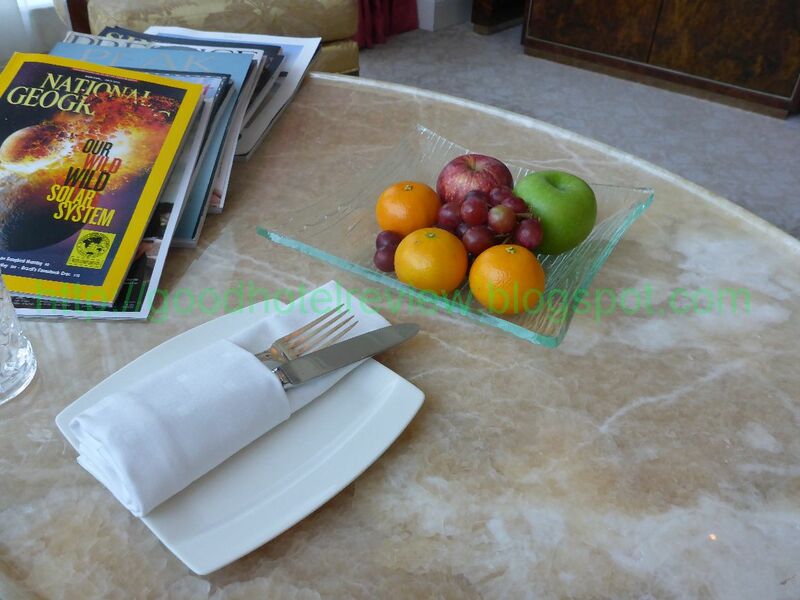 From the website, the room is 80 to 90 sq metres and comes with breakfast, evening cocktails and canapes. 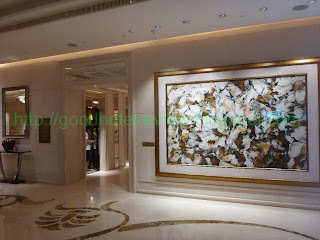 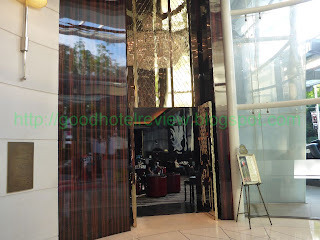 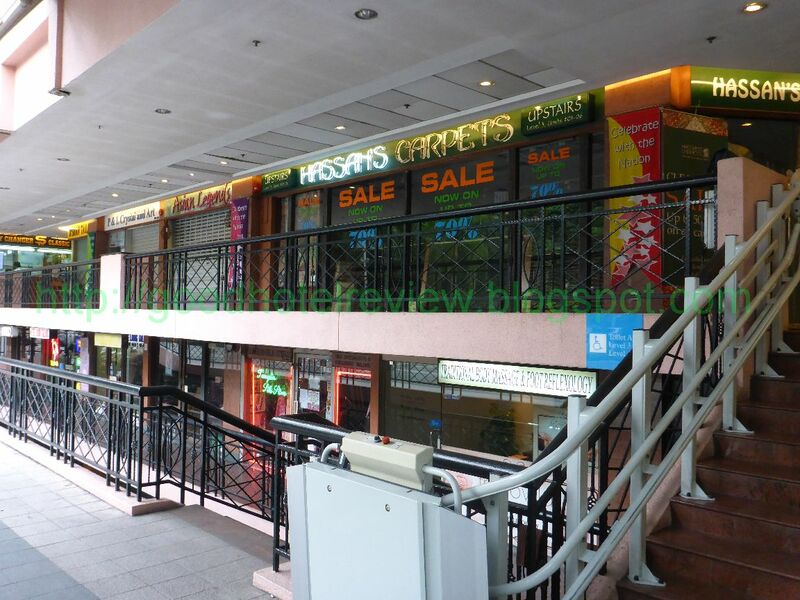 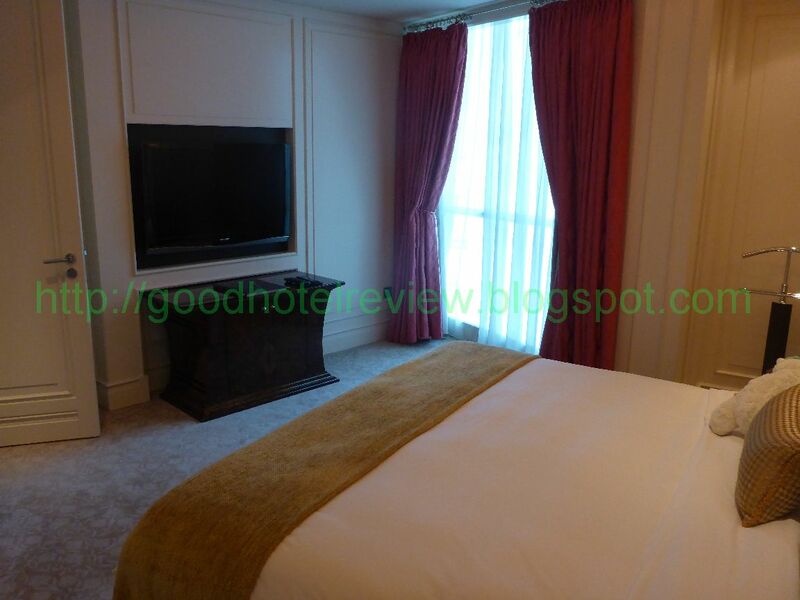 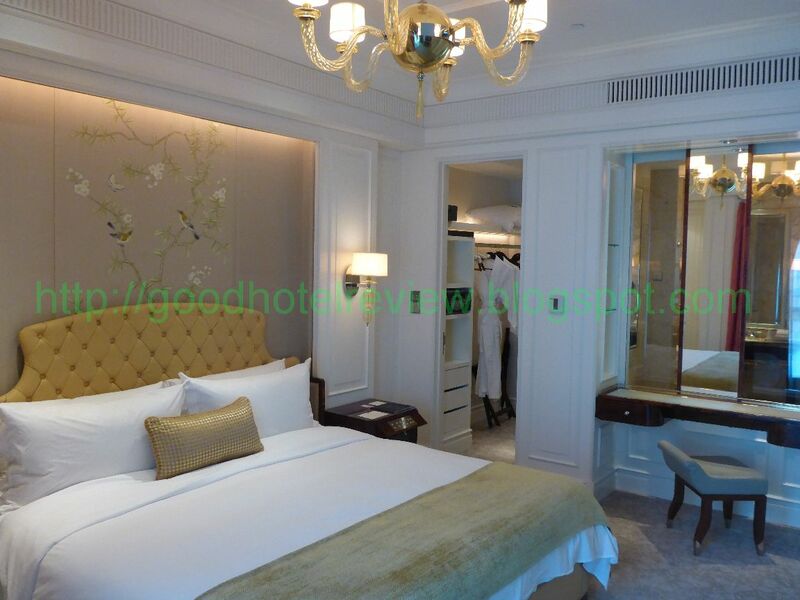 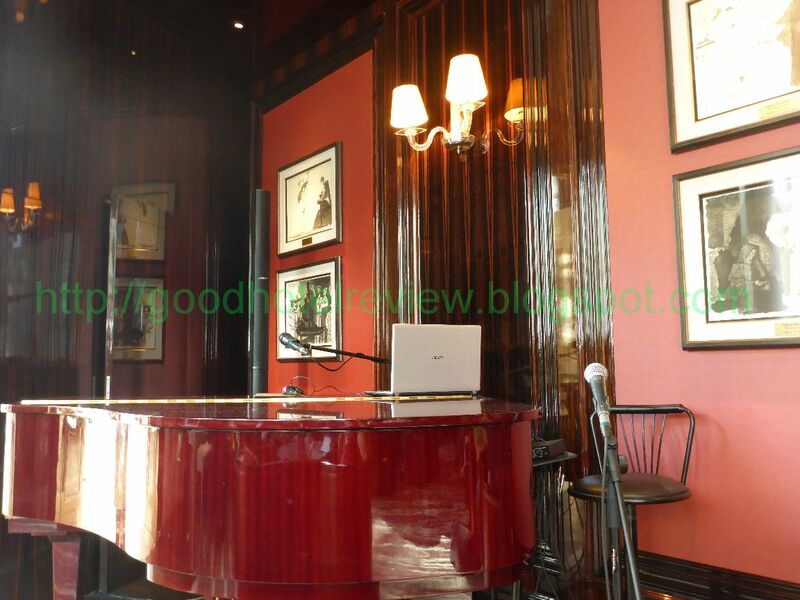 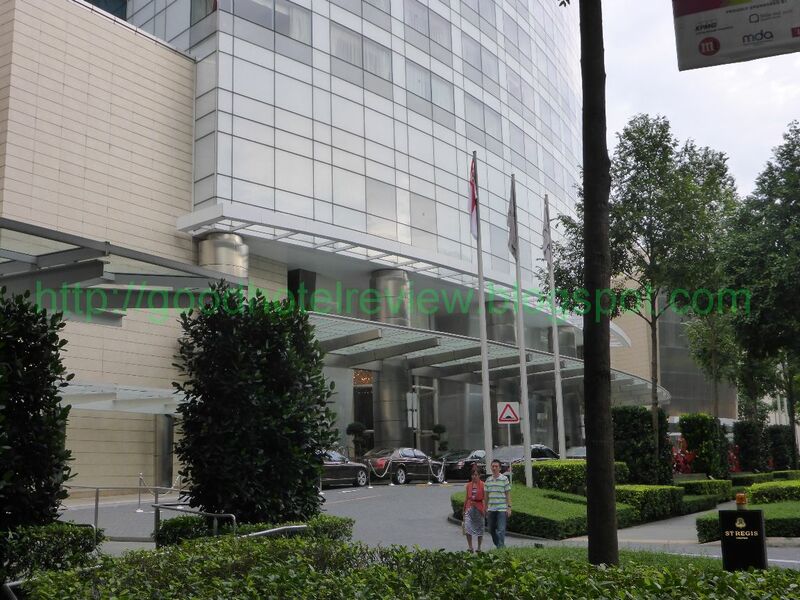 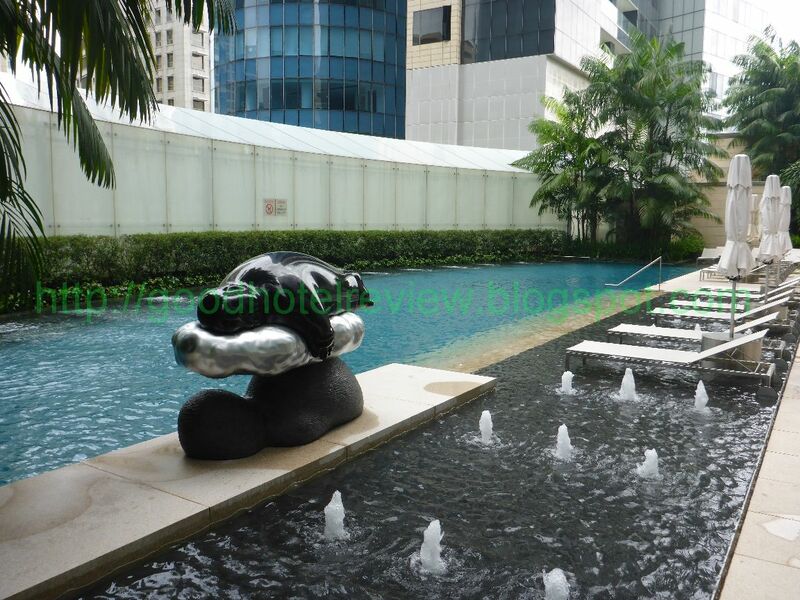 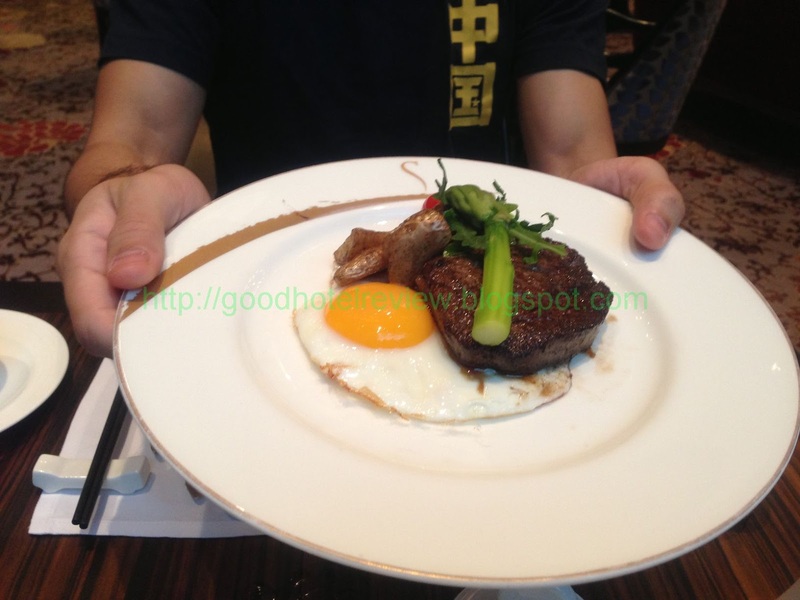 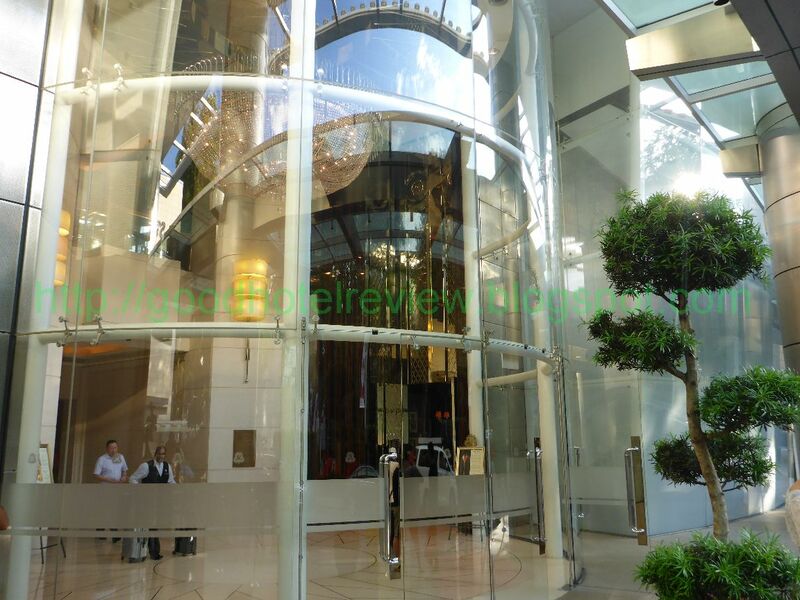 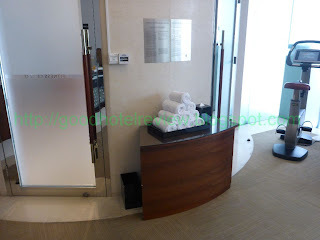 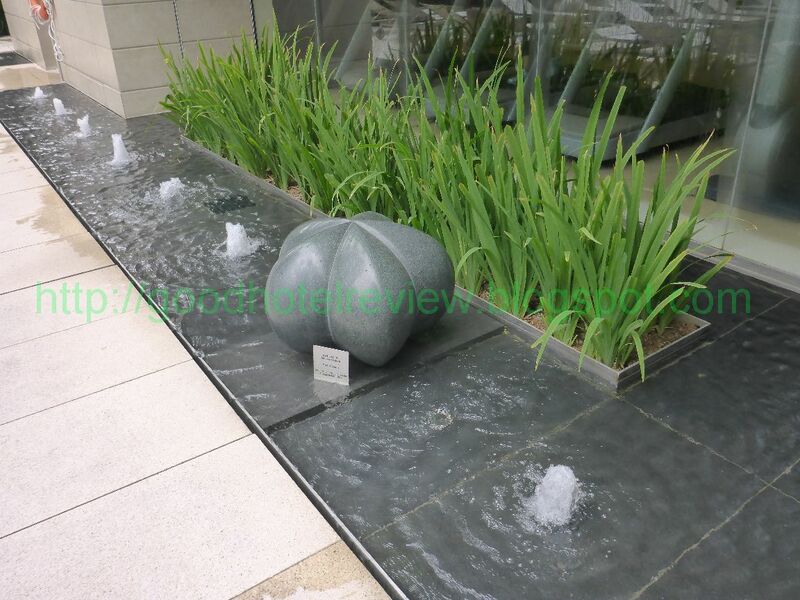 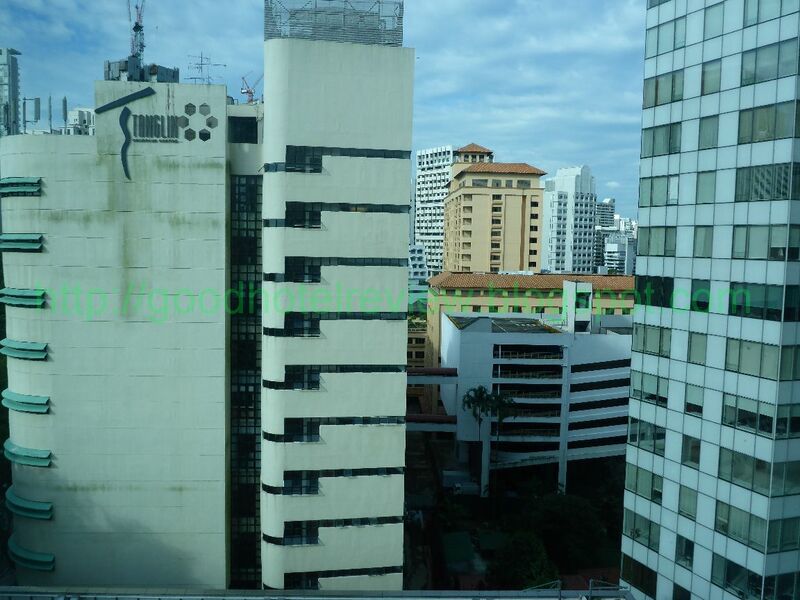 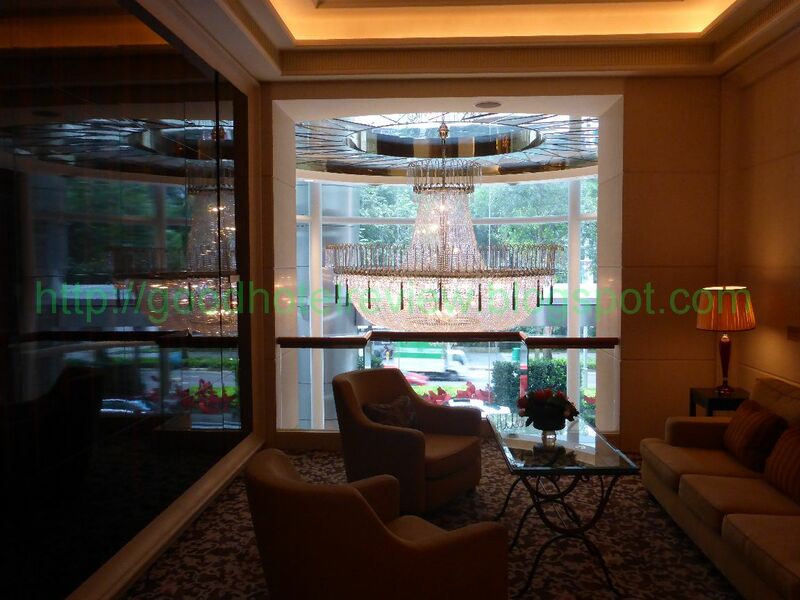 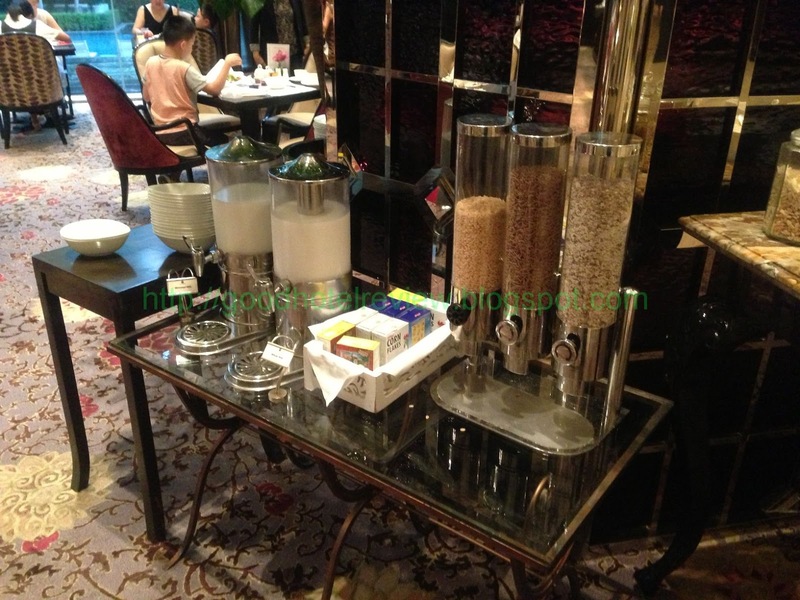 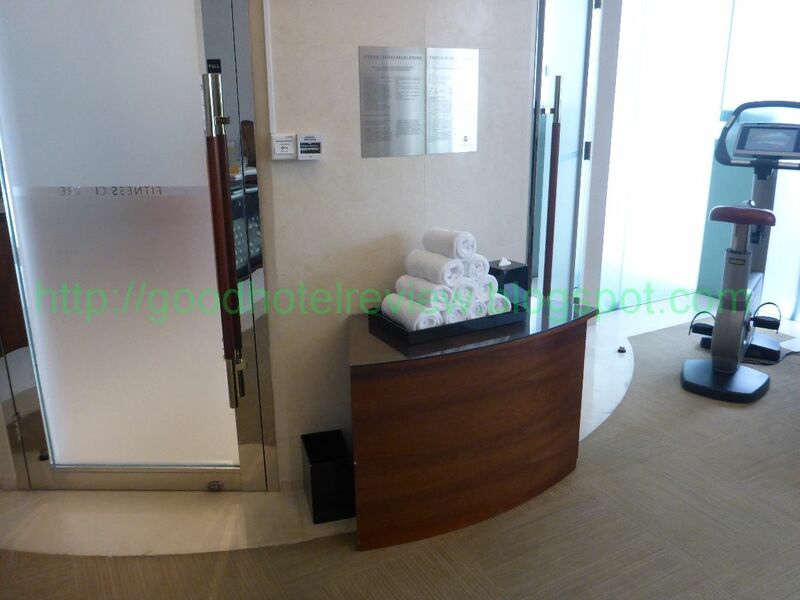 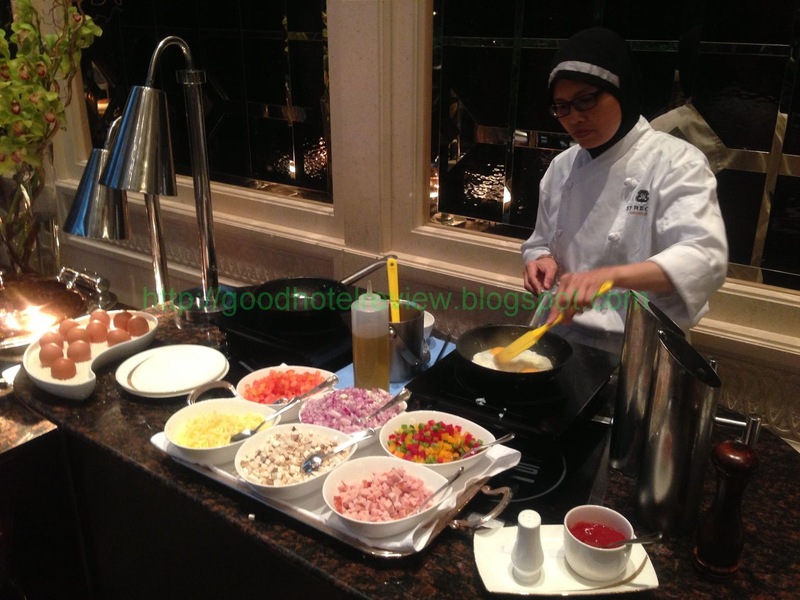 It is very well-decorated and the size is considered very big for a hotel at Orchard Road. 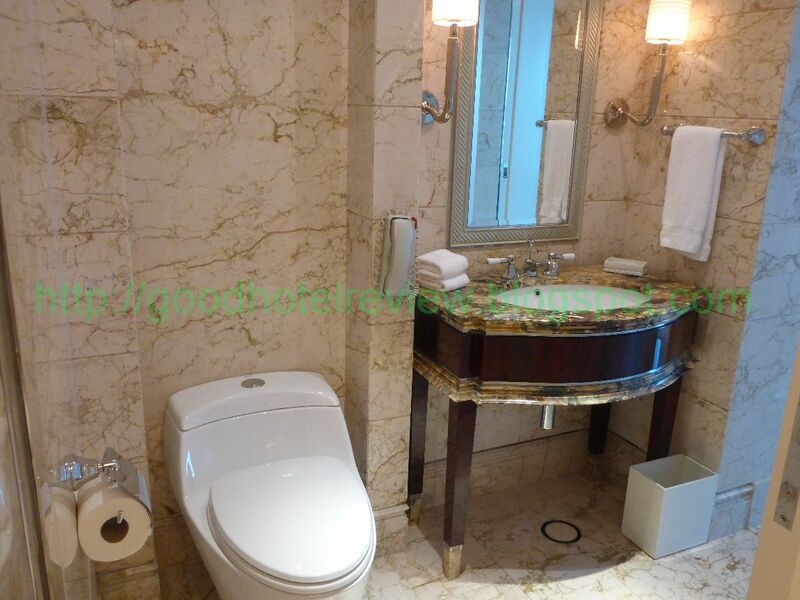 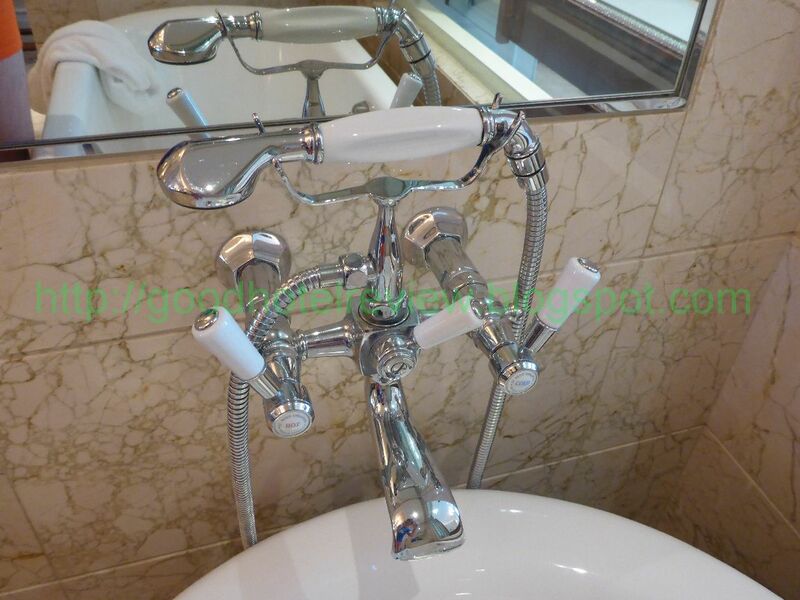 It comes with a double basin with marble-top beside the shower area, and another basin next to the toilet. 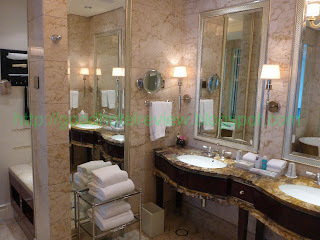 A full-length mirror occupies one side of the shower space. 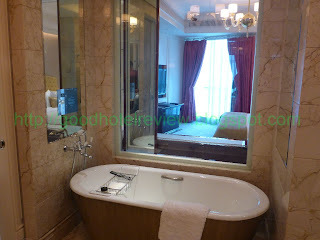 The bathroom is open to view from the bedroom with the bathtub just next to the vanity top and this would be ideal for a couples retreat. 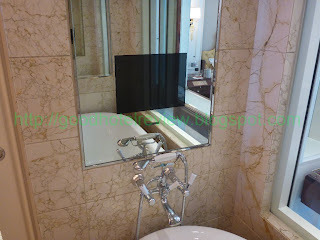 For the television fanatics, there are a total of 3 television sets in the suite; the living space, bedroom and at the bathtub. 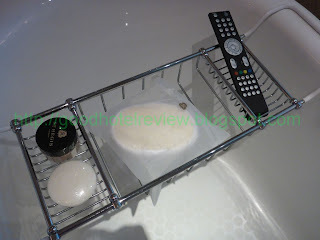 Operating them is rather easy if you read the instructions first as some buttons are unlabeled on the remote controller. For those who love baths, the bath salts with lavender soothes and calms for a peaceful and relaxing sleep. 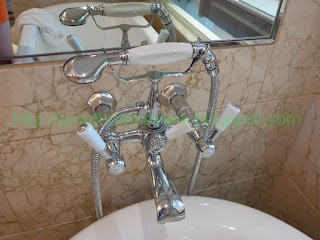 The bathtub is really majestic and even the water outlet reminds me of a vintage telephone. 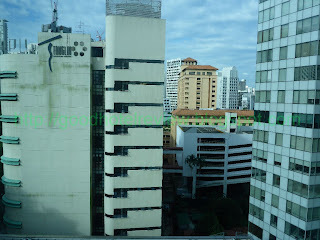 The view from the room was not too great, but the simply comfortable room made sure I had no complaints about the old buildings! 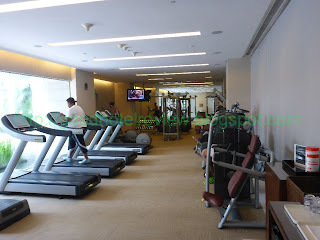 As a doctor interested in managing weight loss, the hotel gym is extremely important to me for frequent exercise and health maintenance. This gym is rather small for a big hotel but the equipment is satisfactory if there is no crowd jostling for space. 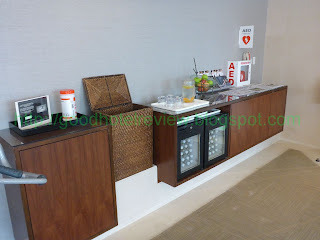 Towels and bottled water is thankfully readily available. 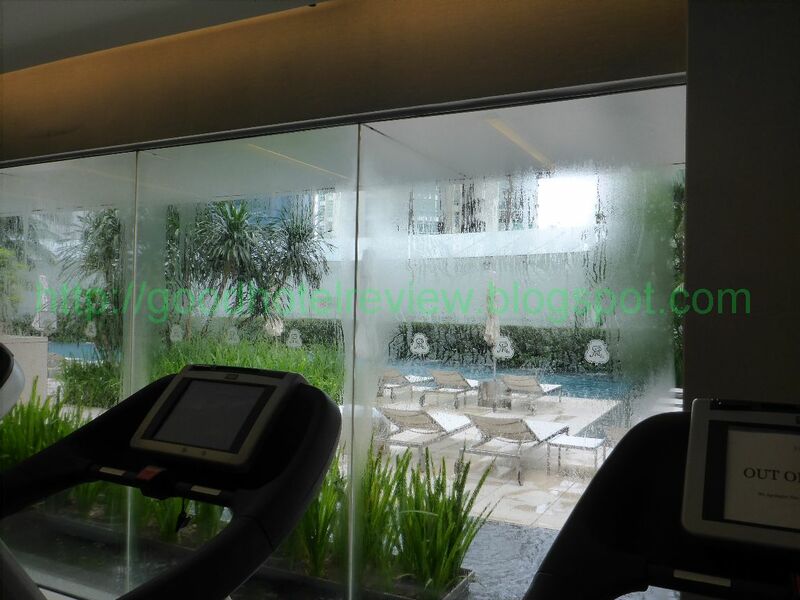 The gym is located next to the pool which is not too big either although one associates St Regis with tall and wide spaces. The small statue at the door to the gym piqued my interest. The area is rather cramped and shares the space with the restaurant LaBrezza which serves Italian cuisine. 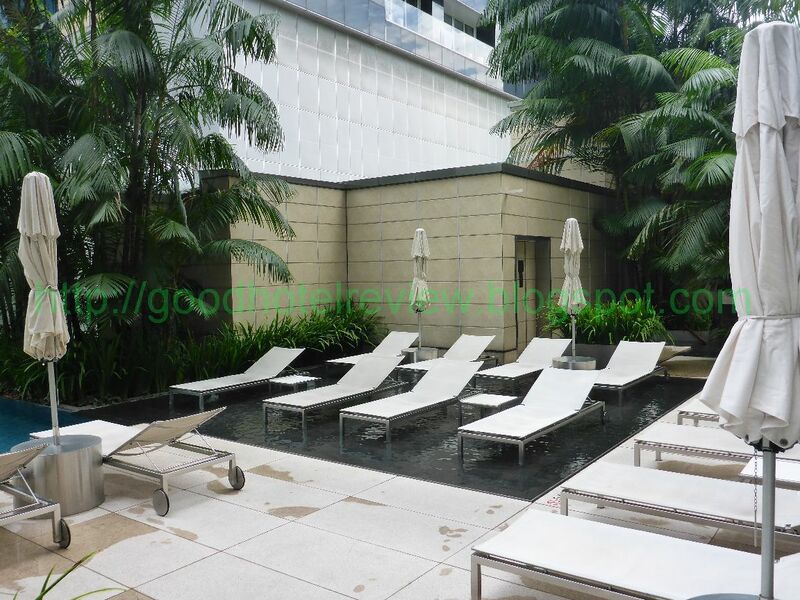 Adequate for a splash and nothing more, the pool is not impressive and the view is perhaps limited to the St Regis Residences. LaBrezza takes care of the F&B one may order at the pool-side. 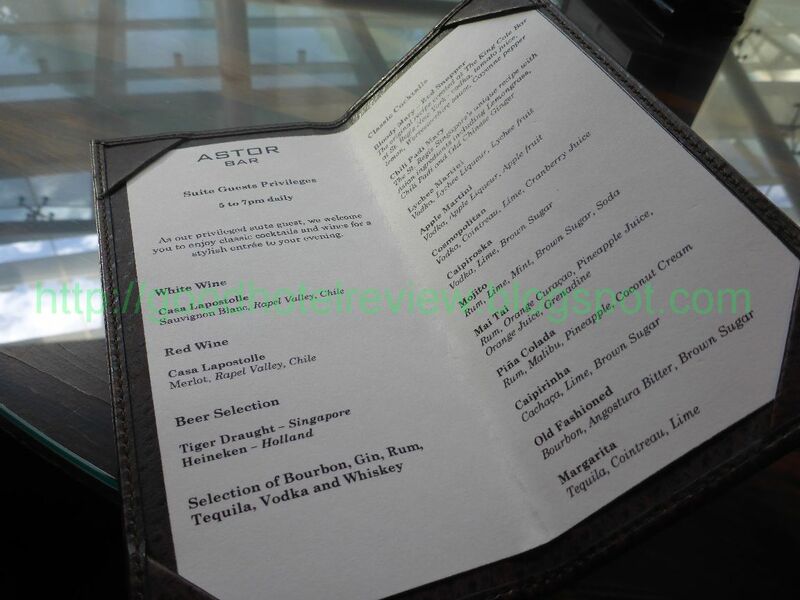 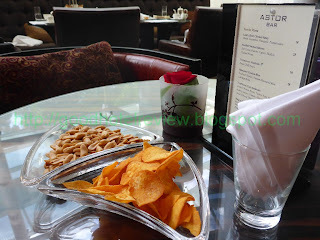 The Astor Bar near the main entrance provides the included evening cocktails. The staff seemed a little less than enthusiastic in their service, but I guess it was rather busy as almost all the tables were occupied. 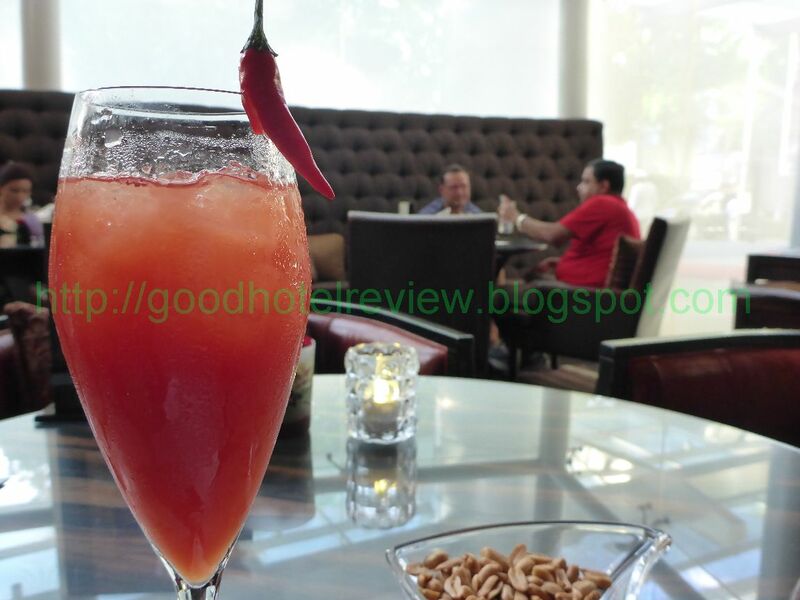 We ordered a lychee maritni and a Chilli Padi Mary, supposedly a Singaporean variant of the Bloody Mary. Sadly, not to my taste. 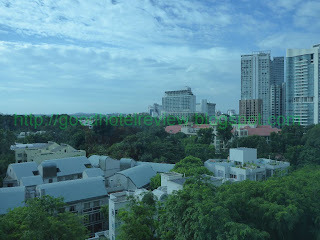 It looks really pretty though. 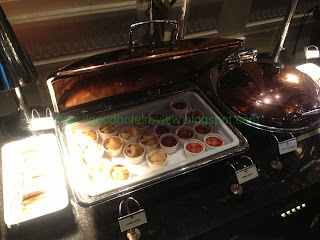 The canapes were nothing to shout about either. While enjoying the drinks, the singing (jazz) started and it was marvelous. 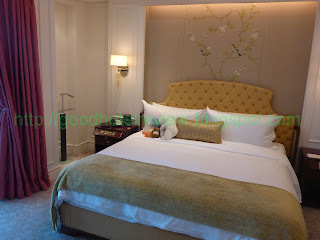 I could sit here all night if not for the nice suite waiting for me above. 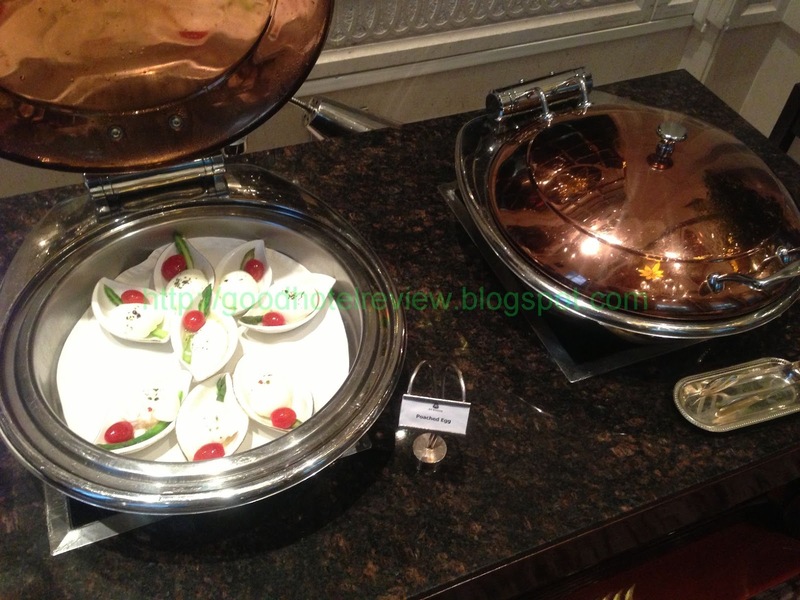 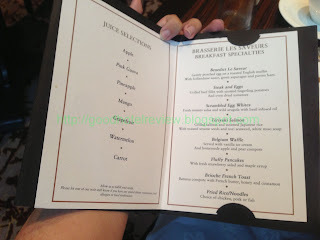 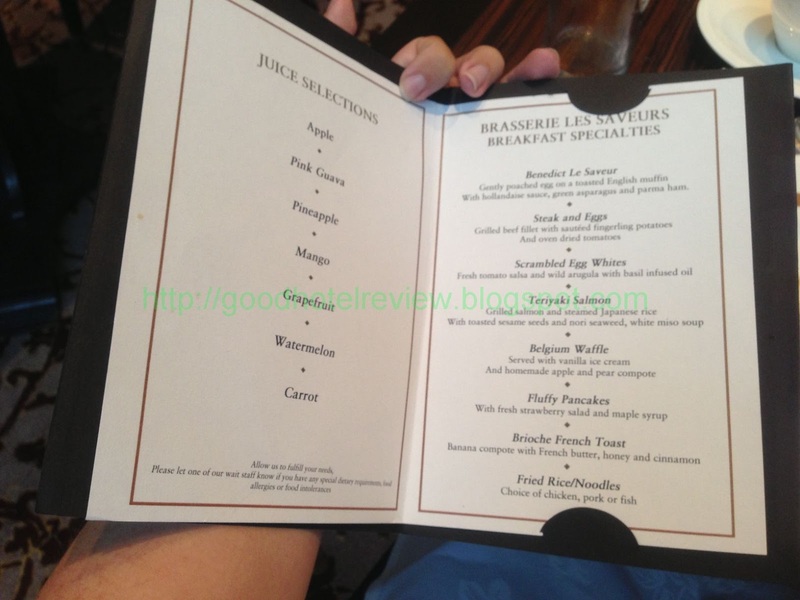 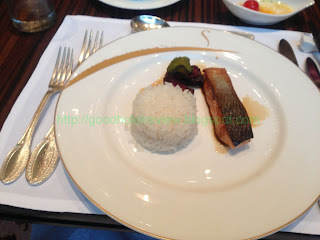 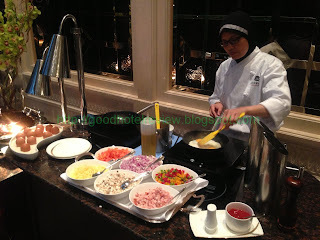 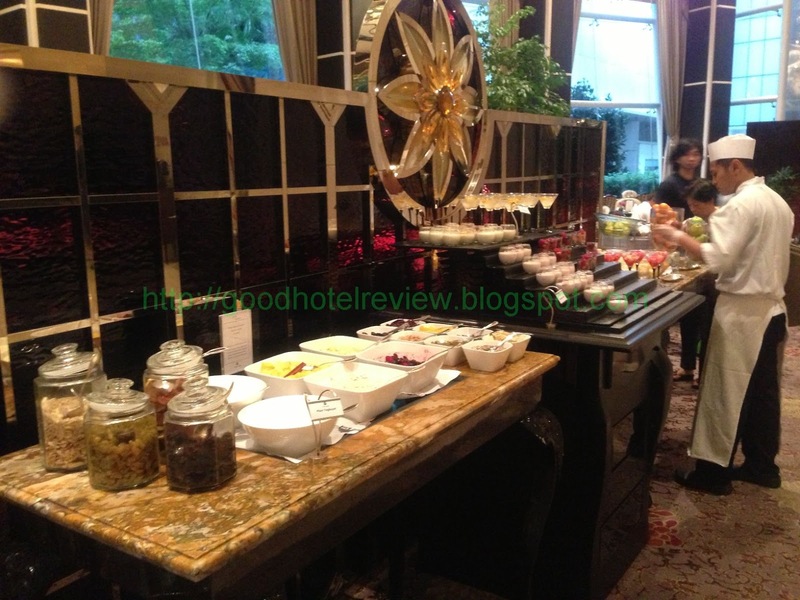 We had breakfast at Brasserie Les Saveurs which is at the lobby and the food was good. 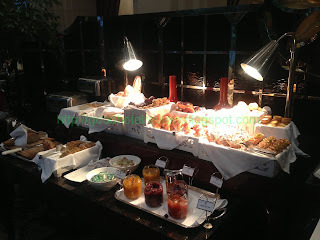 Some people have complained about the food not being up to (St. Regis) standard, but I think it is good enough. 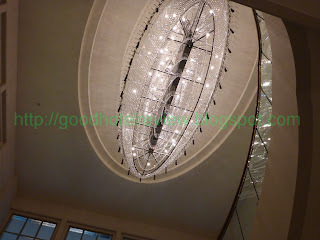 And I simply adore the high ceiling! 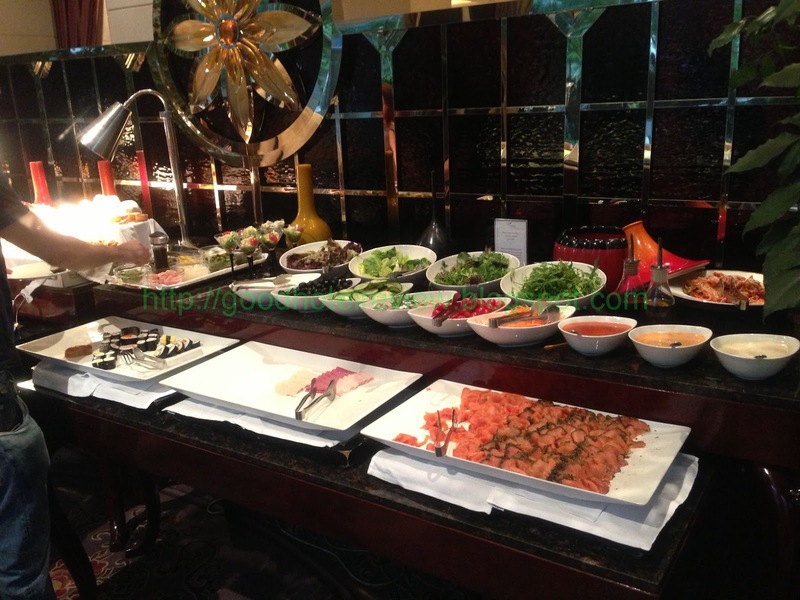 In addition to the buffet spread, you are invited to order off a menu (pictured below). 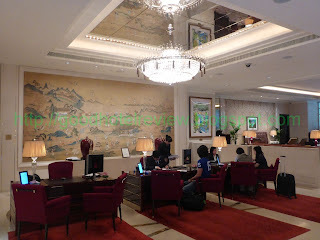 The St. Regis check-in takes place seated for all guests. Sadly, the Front Desk Agent which attended to us initially was simply not up to standard for a St. Regis. 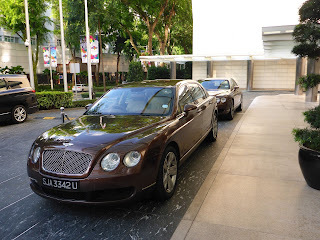 He did not sound friendly and was even somewhat defensive when asked for available complimentary upgrades. 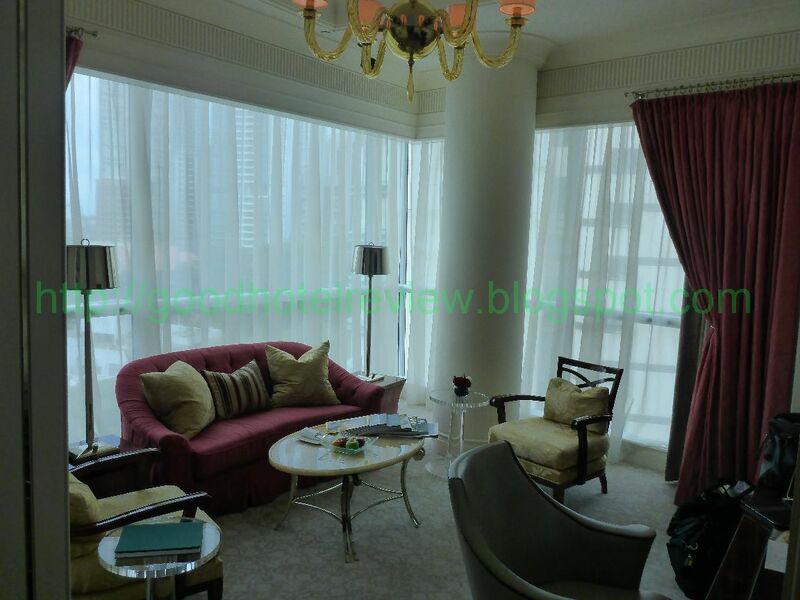 Ms Magdeleine Chew, the duty manager, noted my unhappiness and asked us to relax in the assigned room while she made further arrangements. We were served iced coffee in the room as welcome drinks. Subsequently, the staff brought us to our marvelous Caroline Astor Suite. To top the experience, she sent a card, a slice of cheesecake and a bottle for my belated birthday! 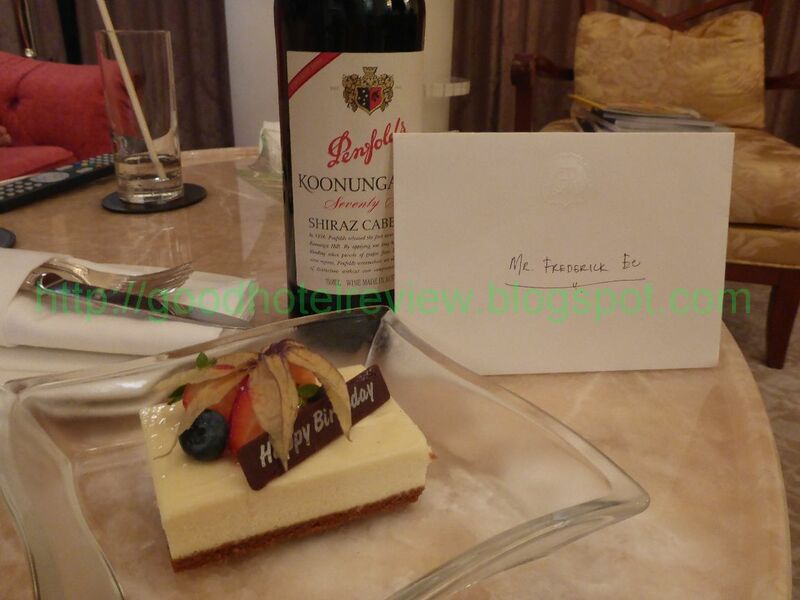 Thank you so much, Ms Magdeleine! 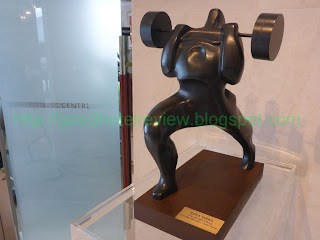 I never did understand 'butler service' but this butler impressed me with his flexibility. 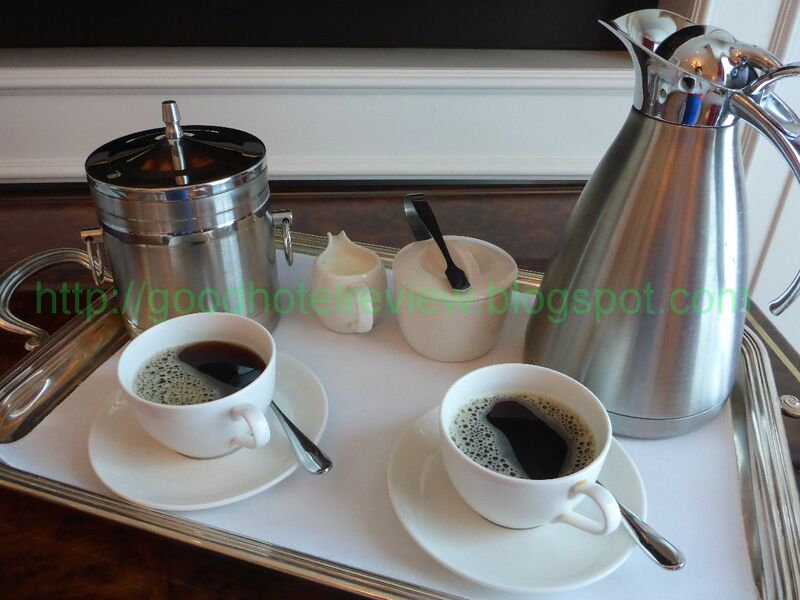 I had asked for iced coffee which is 'not available' (the first glass was a welcome drink), but he sent me a pot of coffee and a bucket of ice. 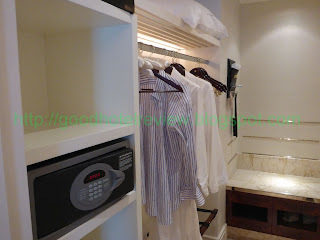 Given that many Singapore hotels tend to be very very rigid, this was rather surprising to me. 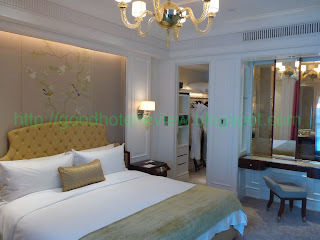 In conclusion, I have to say, St. Regis Singapore, a great hotel to stay!